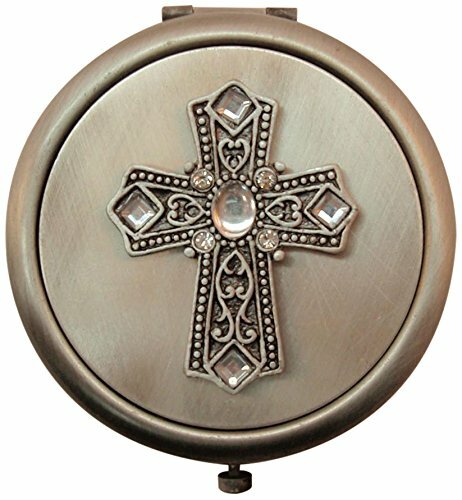 Beautiful compact mirror with pewter Cross on it. A delightful and functional gift for a fashionable lady. Push to open. Mirrors in both top and bottom insides. Comes in nice cream color box with white ribbon. Approx. 2.5" in diameter. If you have any questions about this product by Fei Gifts, contact us by completing and submitting the form below. If you are looking for a specif part number, please include it with your message.